Hello there, glad you are interested. The first one is a very intricate design. I've been browsing through the book a bit, and while I can see it as a species that exists in this world I am not sure if it would be workable into a character at this point buy level - one that is still fun to play, that is. It would be more viable as an npc, where you can just pile on more points. So maybe we should have a look at the second idea. Note also that the character should not actually be from the designed nation, it's just to put your race onto the map and into the story as its own faction. The characters will be all from the broken bridge as basically xth generation immigrants. Ok. Here's race #2. Hopefully it's easier on the point scale. 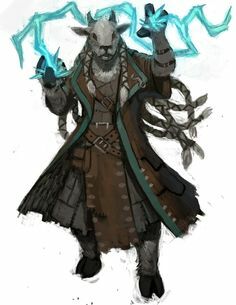 If it isn't, it could be another npc race, and I could try again, or just play a human wizard. The Nation of Race: Apiarian colonies have difficulty living in close proximity. They are more likely to live in cooperation with small farming communities, with territory borders slightly overlapping the territories of neighboring hives. Hives do keep in touch with the hives their territory borders, and through them with the wider community of hives. They can be quite cordial towards each other ...at a distance. No hive's territory is ever more than 2 miles in radius, and the richer the area, the more overlap they can tollerate before getting overly defensive. Character: "Jules" is a young swarm. Until recently it's hive has been on the land of a village's hedge wizard, but a year ago he died, and his nephew inherited. He is non-magical, and he and Jules do not get along, so in a rare show of understanding of human norms Jules has moved out and is looking to set itself up in the world. Alright, this is technically easier to do, as it is at least a conglomerate of uniform creatures. But make no mistake, simulating a swarm would still be game breakingly costly. It starts out with the fact that you have no normal hit locations, and it would make sense that you take injury Tolerance (diffuse) for a staggering 100 points. And that's before we account for the fact that you can fly, squeeze through small openings or sting people. So with a sentient tree it would be tremendously easier if you just went the Ent route - they can walk and manipulate things when young, and only root when they become too old to care. They don't have to zap around at the speed of a leopard, you can limit their fine manipulators and make them a bit slow overall. Maybe they are still animal whisperers, and have very good relationships to the giant tortoises in the vicinity. When a friendship is formed and lasts for decades, maybe only then some old treemen escape the rooting by striking a deal with a tortoise. Is that something we could work out? I'd like to land somewhere in the middle between the fairly complicated playing of a swarm or a trio of symbiotic creatures and just defaulting to human. You can still be a magic user if you are a tree or bee too, obviously. In fact, right now I am still waiting for somebody to be interested in playing a mage or a priest. Still interested, but I would be spreading myself too thin by participating here. Sounds like it will be great. Good luck! Ok. For the Ents I wasn't thinking of 3 sophonts acting as one, but one sophont with a limited Animal Control. For the single bee, that would work, I'm just having a hard time figuring out what they would want, that would lead one to be an adventurer. IRL hives basically want to perpetuate themselves & individual bees work themselves to death. Perhaps she (all worker bees are female,) was kept as the mages familiar? She doesn't have the right pheremones to join another hive & is kind of at loose ends? And/Or perhaps for this race workers can be turned into queens under the right circumstances, & she's adventuring to acquire the resources to become a queen & start her own hive? That would suggest that the queens, like in honey bees, are a size up from the workers, with possibly telepathy & limited mind control over her own hive? I'm having a hard time imagining the workers being over Size -4 to -3 & still living off of plant nectar like honey bees, unless there are a bunch of really large flowers in a jungle & they live there. Anyway, does this fit better? @Warson Sorry to hear that. At this point we still have enough space though. So if you ever change your mind you can send me a pm later. @Sivartius No I think I got what you were going for with the tree people. I am still aprehensive though, because I reckon if they are not in perfect unison, as the tree makes the others do things at the speed of thought it would prove to be very cumbersome in intense or high speed moments. As for the bees, I think you hit it out of the park with the character concept here. I really love the idea of an ex familiar who maybe got himself some magic of his own, or freed himself at any rate, and is now kind of stuck between worlds. That sounds super exciting, and is also a genuinely great catalyst for going on adventures. You want it all: Power, reputation, personal experience - and then you'll come back and show your hive what's what. I am not opposed that at the end of all this the character could morph into a queen bee, but that'd be at the point where they are probably out of commission as an adventurer anyway. And -4 or -3 would be fine, it comes with its own drawbacks (but some perks too), some of which are offset if you don't rely too much on mundane equipment. I am not adapting the damage of weapons if players are -1 or +1 size modifier, but at that size a broadsword would be pretty much like a breadknife. Maybe to get into how such an insect would function at that size and in a fantasy world you could take the life of bees and replace some of the variables. They life like bees, but maybe they have a different source than nectar, and produce something that is not exactly honey - for example. I mean at that size they could chomp down on entire flowers as far as I am concerned. I thought that technically bees could work other types of sugar, even though it is frowned upon in beekeeping. But we are in a fantasy world.. they could be carnivores, eat metal or something else wild like that. Also there should probably be a touch more to the life of this species than just this process, since they are supposed to have more sentience than the regular bee. Dedication to the hive, yes - but maybe there is more technology and culture there. Also the possibility of communication and integration into other societies. As for what they want - I think they would want what any other group of people could want too: More space, more resources, more everything. Anyway, if you ask me it's a great core idea, and something we should pursue further. So if that's what you want to do I can send you the game thread link any time. Last edited by Phettberg; 02-19-2018 at 05:12 PM. Bees can indeed live off of refined sugars, so they probably could access other sources. That gave me a thought: Sugar Maples. What do you think honey made w/ maple syrup would taste like? They could cultivate Maple groves, or if they're in a warmer climate possibly Sugar Cane? Or maybe fruit? Perhaps they could manage orchards & trade for what they need. I can't find in the book where it lists the lifting penalties for small size, but I have a hard time imagining an 18" bee carrying a 50lb bag as it flies. I figured being so small, and also fuzzy, & living in wax or possibly wood pulp hives, an Apiarian smith or potter or glassblower or any other profession that works with fire would be vanishingly rare, which, along with the difficulty of multiple hives living close together leads to hives integrating into human & humanoid societies, trading honey, wax, detail work (like embroidery? ), & possibly airborne scouting or message delivery, for metal, ceramic or glass implements, protection from larger predators like bears, and services that require a greater degree of strength like irrigation/earthmoving, felling old trees, or stone building. As you said, a -3 broadsord would probably be the size of a steak knife at most. I would expect that when one faced danger it would probably face it with ranged weapons & poison, with a tactical retreat path kept open, unless there was a threat to the hive, or possibly an allied community, in which case swarm & suicide tactics would come into play. Many bandit groups would probably either be amused or annoyed (depending on how armored they are,) by an 18" bee shooting 9" arrows at them. 5,000 bees all shooting poison tipped 9" arrows at their eyes, mouth, and... other sensitive portions of their anatomy is likely to be as terrifying as all get out. @Sivartius Love the ideas, keep em coming. I sent you an invite. Maple groves or Sugar Cane sounds fine to me, I assume that there may be different plants for different hives, according to where they are located or what they like. As for those that work with fire - maybe those rare ones that take up strange professions must live like outsiders in dwellings made of fireproof materials, only loosely attached to the actual hive, but also at least a little revered because they sacrifice themselves so. @Everyone Else: There are still Spots available. Race: The Argali evolved from Mountain goats on the island of Lindisfarne, just north of the great glaciers on the southern continent. They are known for the great coiling horns of their males and more generally that Argali can balance their bodies perfectly, on a wire, a teacup, or at the top of a church spire, even with gusts of wind, and never fall. This incredible sense of balance has surprisingly made them much sought after sailors, as they are able to maneuver through the rigging with amazing deftness. A few of the less morally upstanding Argali have used this talent to become unparalleled burglars. The Argali are a matriarchal theocracy dedicated to "The Herder" with each village ruled by a priestess-queen known as a "Madra". The Nation: Great Queen Madra Adiel rules the island nation of Lindisfarne with advice from a council of lesser queens. They rule from its greatest city, Umberlan, which is built mostly vertically into the side of Mt Umberlan. The Argali navy consists mostly of merchant ships that transport goods to and from virtually every port in the known world. 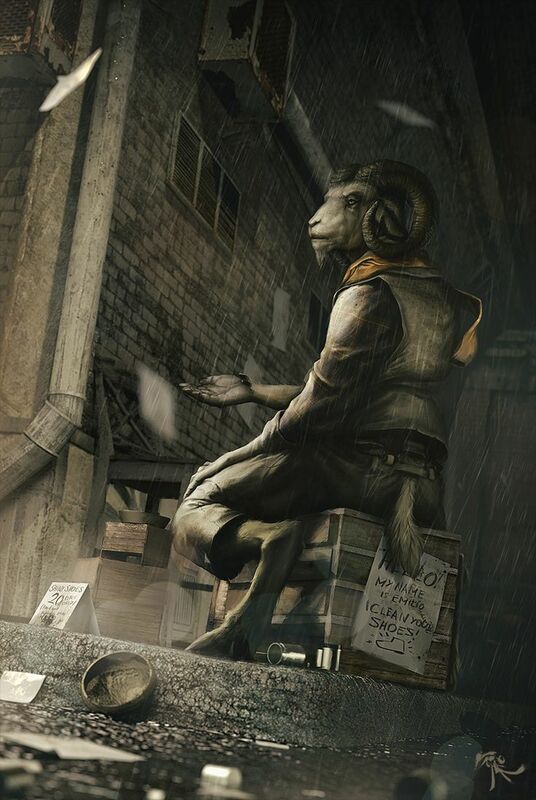 The Character: Capri is one of those Argali of a morally dubious nature. He started out well enough, but fell in with questionable acquaintances and picked up their bad habits. His parents were members of the Merchant Marine who decided to settle on Vinione and open a trading house. Unfortunately, they were better mariners than merchants and so the shop never really took off well. When Capri was a teen, his folks were teetering on a knifes edge of meager profits and angry debt collectors. A human friend offered him a chance to make some quick money to help his family out and Capri quickly accepted, and money began flowing back into his families coffers. Last edited by kanly; 02-23-2018 at 03:22 PM. If anybody else is still lurking the thread and unsure - I'd still have at least a spot open to be extra safe in the case of dropouts. 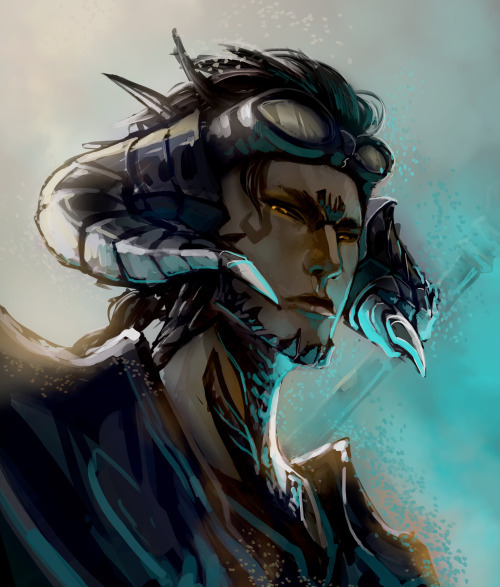 Race: Drakken 1 or Drakken 2 The Drakken are descendants of a dragon demigod and as time has gone by they became as diverse as dragons themselves. They are humanoids with longer lifespans than humans. 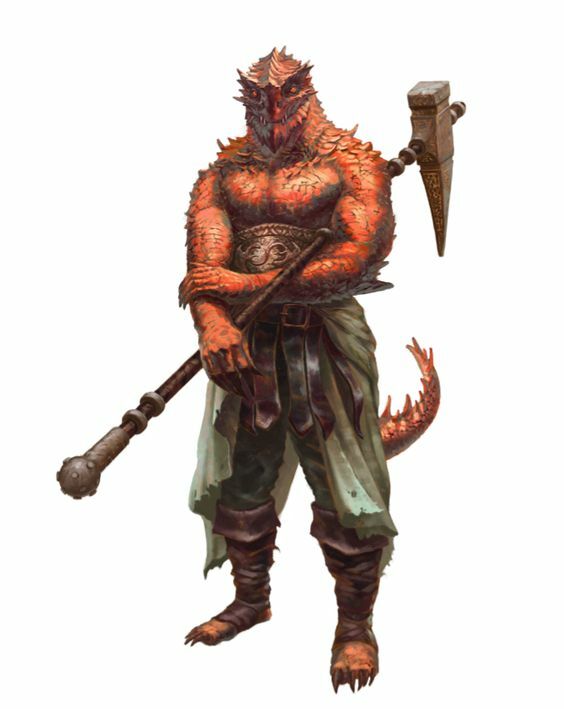 The Draconic-humanoid varies from 5'7 to 6'7, and is usually brawny and heavyset with muscle. They have magic in their blood and can mimic many draconic features, even some that would be considered negative such as eating precious gems! Only the royal family is ever graced with wings, very few individuals are ever able do develop a breath weapon (that it always limited in use, they are too small to have a continuous use of such a weapon). All of them have some scales on their bodies (mostly just for looks) and/or horns, some really embrace this feature becoming fully scaled (up to DR4, with limitations, penalty to reaction rolls outside of the empire, penalty to speed and vision). Very few let their claws develop, it is seen as impractical to civilized life. Drakken are best described as 'rough around the edges'. They are tough, gentile, and hospitable to their allies. They know right from wrong, and it pisses them off when other people don't, or worse yet, don't care. The Dragon Lord left them with few teachings and honor was a big one. The Nation: Bahaurth Empire The Dragon Kingdom was founded by the Brightness Dragon Lord. Taking a human as a mate, the Dragon Lord created the royal family line of their nation. By doing so, the dragon granted all its descendants access to the long forgotten power of Wild Magic. It is a small nation, maybe no more than 4 million inhabitants. The Dragon Lord has no political ties to the empire anymore, and resides atop a mountain somewhere. The empire has access to many ore resources, but not much fertile land or direct acces to the ocean. Such facts generated development on their agricultural technology, but the surplus of food and resources attracted the attention of some greed neighbors. There is a financial crisis happening because of military expenditure, even though those expenses have not been enough to defend the borders of the empire. - There are around thirty generals in the frontline. - The Beastmen periodically raid the Dragon Kingdom for food and resources. - The Beastmen have already conquered multiple cities from the Dragon Kingdom and eaten the populace in those cities. The Character: Kane is an orphan that became an adventurer instead of joining the army. He really wants to help his home, but isn't found of hierarchy. After years working with the Flaming Fists, a local mercenary group, they finally bit more than they could chew and, worst of all, it was Kane's fault. In his eagerness to push back the Beastmen invaders he ended up leading his friends against a whole battalion, which he thought was just a scout party. Only three of them survived the encounter, Kane was luck to be thrown into a river and found a day later, and the other too have retired. Kane only hopes he can expiate his sin, to make a real difference in the war so his friend would not have died in vain. Last edited by droobles; 03-06-2018 at 02:20 PM. @droobles Sure, we can work with this - just let me get a few preliminary comments in that we'd need to sort out. Dragons as gods is fine by me - but Dragons being permanently around not that much. Simply because I don't like how the existence of superbeasts affects settings. I don't want to have the fantasy equivalent of an atomic bomb around. Well, it may not be that extreme, but I tend to find that when dragons are around things often revolve around them (sooner or later), which is just not what I want for this world. It may be selective perception on my part. Note that if the various types of Dragons simply are gods they still exist - and now with the changes in the world again in a very real sense of the word - just that they rarely to never pop up physically in the world. But they still could under the right circumstances. The upside of this I would say is that you can design as many Dragon gods as you want yourself - mix up the tropes if you feel like it, or just stick to the d&d colours while adding some personal flavour. It barely changes anything for your race though, they could still have been spawned by a god, or many gods - the collective will of the dragon pantheon even. But the Brightness Dragon Lord would not be residing atop a mountain, but in his divine plane. Another though that I have is that we still have to set the racial template in stone - so everything being variable is not necessarily a great option. It would be a bit unfair to give you alone access to supernatural advantages after the game has started (if you chose to suddenly embrace more of your dragon nature), so what I propose is this: Just make two or three templates, from little to much dragon blood. But it will be the same for life, unless you are an especially devout follower of a dragon god. Gods do crazy stuff sometimes. And two other things: I would prefer if you changed up the names 'Drakken' and 'Flaming Fist'. Maybe you are not aware, but Drakken is a faction in the endless legend game, and the Flaming Fist is a mercenary group in the forgotten realms setting of d&d. It's just odd for me because I am fairly familiar with both. Anyway those are my notes. Thanks for the application! Last edited by Phettberg; 03-06-2018 at 04:20 PM. Oh, no problem with those change, will work on the templates! Alright, I sent you an invite to the Game so you can check out all the resources and what the other players have done. There is a private thread for you there to discuss matters further. Also you may need to post somewhere to get your new member status revoked, until then you can't send any private messages. You can try out the dice roller in this thread (the standard format for Gurps is 3d6scl10, with the ten being the target number to beat) I would also recommend going to the new players section of this site to start a thread to introduce yourself. When I started out i did not, and I still kind of regret it actually.